♥ ♥ ♥ TUKRU LOVES YOU. ♥ ♥ ♥: ZINE GIVEAWAY! 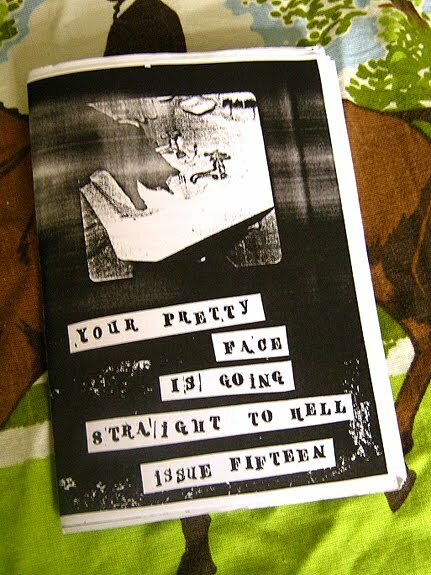 i just finished the #15th issue of my zine on friday, just in time for the zine fest at the women's library on saturday. and today is my 29th birthday! i've had this blog for a while now and i thought it's about time i did a giveaway. yes, A GIVE AWAY! i know it's not much but w/e. i haven't got any sponsors etc. anyway! for a chance to win all you have to do is comment on this blog entry with your email address (so i can contact you) you've got until july 3rd, that's next sunday! i shall choose one lucky winner in someway or another after 9pm GMT that night. apparently i have serious name spelling dyslexia geez, sorry tukru! are international folks okay? Happy birthday! Happy happy happy. ja hirviästi onnea synttäreittesi johdosta! I want to be in the running to win this kick@$$ zine of yours, plus the mixed cd that you probably haven't mixed yet. oooo PICK ME! PICK ME!